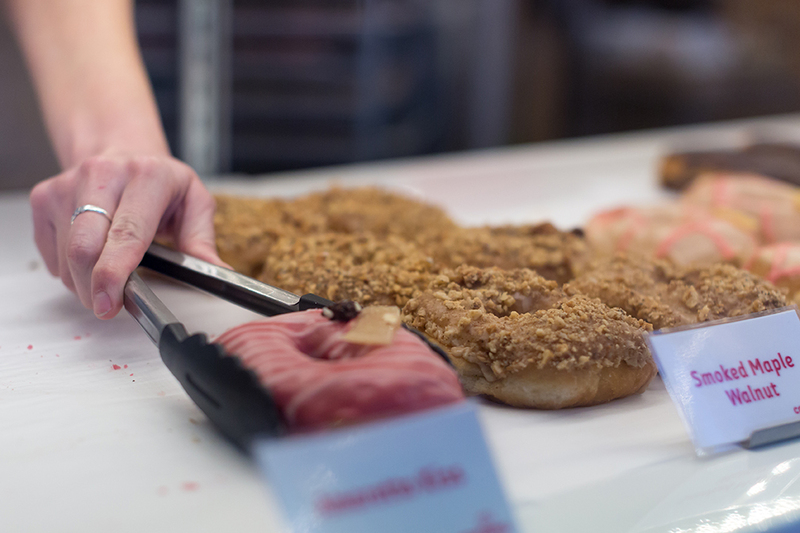 Journalist Dee Hon shares some of his favourite spots on Vancouver’s Main Street. 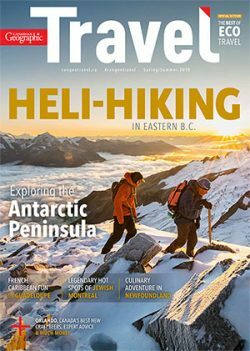 When Vancouverites say “Let’s meet on Main,” we’re not talking about the part of the street that passes downtown attractions such as Chinatown and Science World; we’re talking about the rapidly gentrifying multicultural stretch farther south that teems with one-off restaurants, boutiques, breweries and markets. Outsiders might call it Vancouver’s coolest neighbourhood, but I call it home. Here are my insider tips on how to live like a local on Main Street. Get your sugar rush on with one of the delectable creations at Cartems Donuterie. You can’t shake your umbrella on Main without hitting someone’s latte, but most are worth spilling to have a Chemex-brewed Ethiopian Kochere from Matchstick Coffee Roasters (4807 Main St.) instead. Get your sugar hit via new-school artisanal donuts at Cartems Donuterie (2190 Main St.) or destroy your diet with the out-of-this-world apple tarts at L’Atelier Pâtisserie (260 Fifth Ave.), which I’m convinced is a portal to the old-world charms of Provence hidden beside an appliance warehouse. 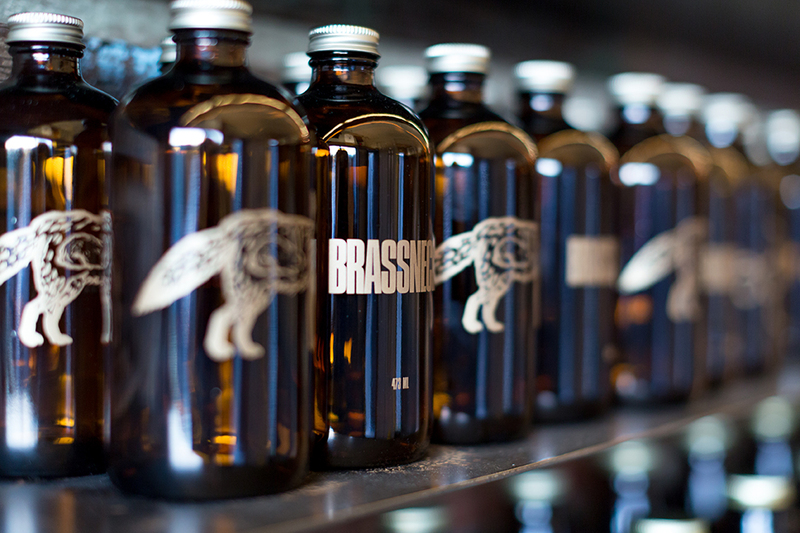 A new generation of craft microbreweries like Brassneck Brewery is reviving a proud tradition on Main Street. Main has many bars best ignored for the local product you can find along its Brewery Creek area. The neighbourhood’s namesake breweries from the 1890s are long gone, but craft beer makers Main Street Brewing Co. (261 E. Seventh Ave.), 33 Acres Brewing Co. (15 W. Eighth Ave.), and Brassneck Brewery (2148 Main St.) are reviving that heritage. Sip your Schwarzbier in nearby Dude Chilling Park (Brunswick Street and Seventh Avenue), which has become the neighbourhood’s de facto backyard and draws road-tripping, van-dwelling, neo-bohemians from across the continent. Neither public drinking laws nor dog-leash bylaws see much enforcement, but my neighbours would prefer the vibe remains relaxed, not rowdy. 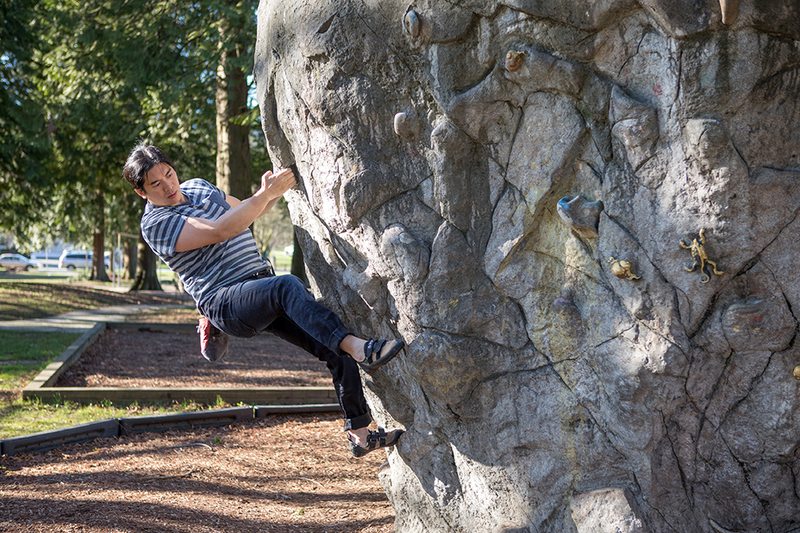 Journalist Dee Hon climbs the artificial boulder at Vancouver’s Riley Park. Tumble over faux concrete at Origins Parkour (2655 Main St.) or scale plastic rock at Cliffhanger Climbing Gym (670 Industrial Ave.) and The Hive Bouldering Gym (520 Industrial Ave.). Climbers gather at the artificial boulder at Riley Park (Ontario Street and 33rd Avenue) on summer nights when the gyms are too sweaty. You can find affordable, fresh, inventive and international cuisines all along Main, but Bob Likes Thai Food (3755 Main St.) puts all those elements together, encapsulating the best of the street’s dining scene.